Have you heard about the wine brownies created by A Cookie Named Desire? Everyone is raving about this recipe. Country Living. Refinery29. Hello Giggles. You soak dried cranberries in wine and then mix them into the brownie batter. Now I’m happy for all of you who have found happiness in the form of brownies. But I have questions. Why? Half the reason you drink wine is for the alcohol. Let’s be real, for some of us, that’s the whole point. When you bake wine into brownies, most of the alcohol cooks out and what’s left isn’t going to make a dent in your post-commute angst. I guess they smell really good? And wine and chocolate go really well together? But in that case, couldn’t you just make your best brownies and eat them with a glass of wine? I don’t know. People are getting awfully excited about a boozy dessert that doesn’t have an effective quantity of booze. I don’t get it. Some are even touting it as something you can do with your leftover red wine. What to do with your leftover wine? What do you do with your leftover wine?!? Drink it. Driiiiiink iiiiiit! 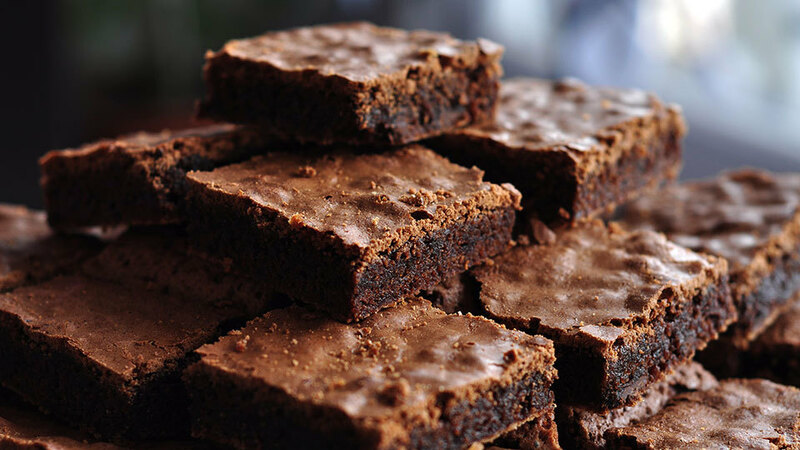 That said, if someone offered me one of these wine brownies, I wouldn’t say no. Anyway, if you’re hell-bent on this wine and chocolate thing, check out this red wine and hot chocolate recipe. Thar be buzz, my friends. That’s the vino-choco combo I may be trying this weekend.